What’s your first memory of each other? Umair: I would say pretty much the same thing. When we were growing up, we always played together, and did everything else together too. 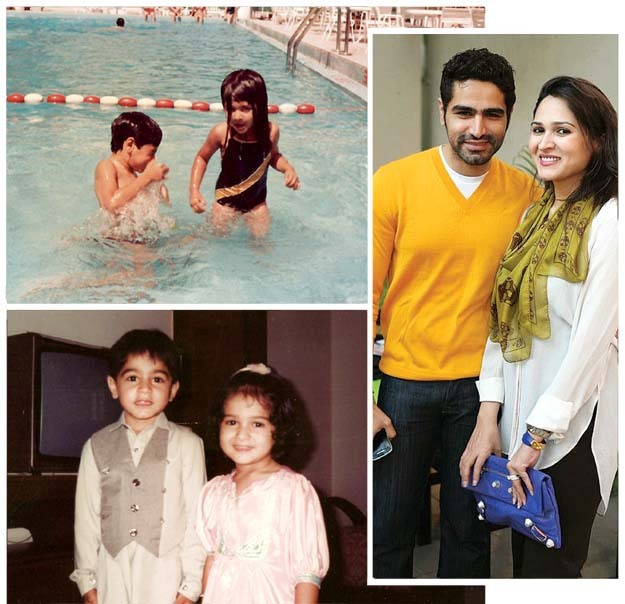 Sania: We are two years apart, so every memory of my childhood is attached with him. We shared a room, had the same friends, and even the same toys. Umair: We used to pull all kinds of pranks on our younger cousins. Sania: Too many! All the fun times we’ve had growing up — with our family friends, vacations and so on. We’ve had some really good times. What did you get punished for the most as a child? 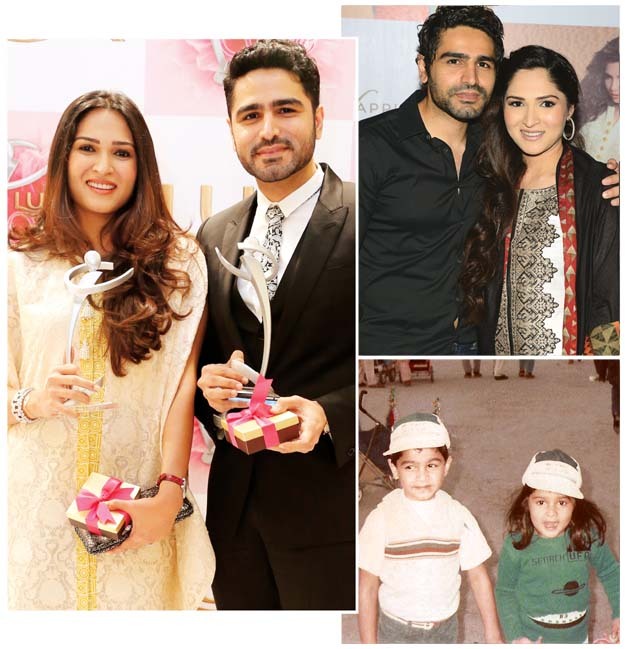 Umair: I never really did, but she used to refuse getting any kind of medicine. Be it tablets, pills, whatever — so she would always get a scolding from my parents. Sania: We never really got punished. I think we were really good kids. If you could only wear one piece of clothing for the rest of your life, from the others closet, what would it be? Umair: I wouldn’t steal anything. Sania: I’ve been stealing his t-shirts forever. If you could swap places with each other, what’s the first thing you would do? Umair: I would be more caring like she is, with our parents in particular. I would manage the business side of the business a bit more. What is the one thing you love about your sibling? 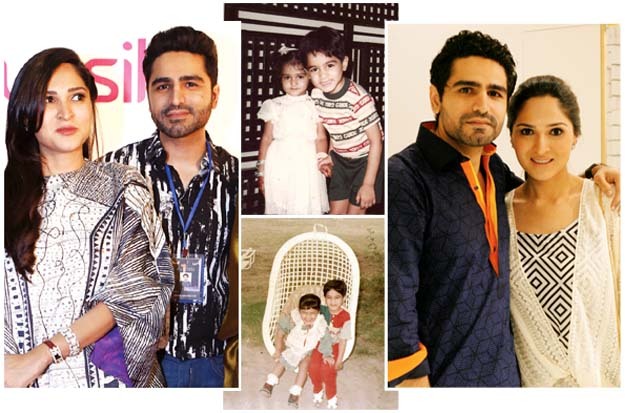 Sania: Siblings are like an extension of oneself. We have a lot of dependence and reliance on each other. We take each other for granted, and I feel you can only really do that with your siblings. If you are fighting with each other, how do you make up? Umair: We just become normal. Especially because we work together, there are always lots of disagreements and we tell each other off, but it always becomes fine. Sania: We fight all the time, we have wars, but then we’ll just start talking normally five minutes later, as if nothing has happened. What is one secret talent your sibling has, that you wish you did too? Umair: Her new secret talent is gardening. Sania: He can cook some really yummy stuff! He’ll whip up new dishes all the time. Umair: Kind, generous and sweet. Sania: He’s really gentle, caring and honest. How are your personalities similar? Umair: We’re both quite strong-headed in certain ways. Though, I’m a bit more diplomatic. With Sania, you can always clearly see her emotions on her face. Sania: We are both Leos.